If you’ve always dreamed of tossing out your makeup bag, then you may be a good candidate for permanent lip liner and full lip color procedures. With immediate results that last forever and the ability to customize your desired aesthetic, permanent makeup lets you ditch your expensive makeup stash for good. If you want to, that is. Cosmetic tattooing can let you wake up all ready to go and forget about any need for touch-ups or re-application throughout the day. You’ve probably heard about permanent eyeliner and eyebrows, but in the era of all-things lip — thank Kylie Jenner and Khloe Kardashian for that — it’s no surprise that lip tattoos are one of the hottest beauty trends of the year. Sometimes referred to as “micropigmentation,” permanent makeup is the process of implanting pigments into the skin to create the look of cosmetics. In short, it’s tattooing for cosmetic purposes. Permanent makeup has been around for ages, with women enhancing their faces through tattooing procedures since at least the 1930s. 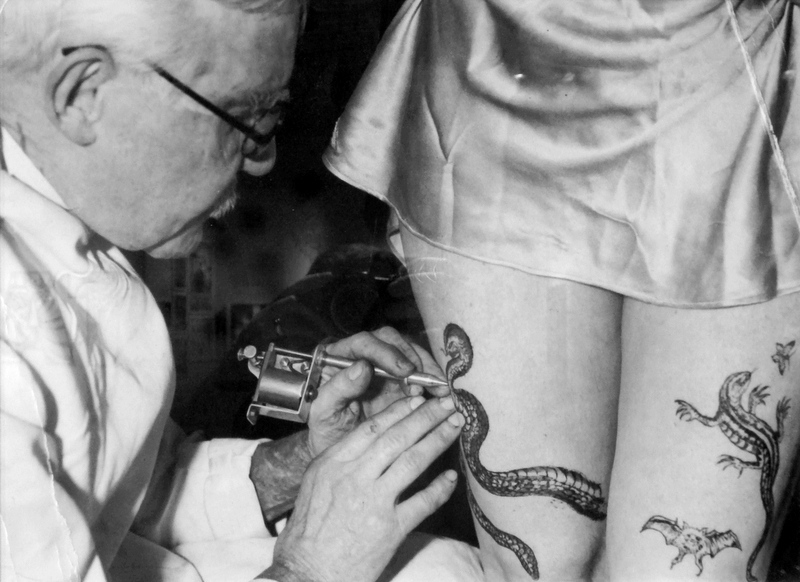 Famous English tattoo artist George Burchett was one of the earliest pioneers of the practice, tattooing women’s eyebrows, lips, and complexions for strictly cosmetic purposes. The process is largely the same now as it was then, although instead of seeing your neighborhood tattoo artist, you’ll want it performed by a licensed permanent cosmetic professional or a professional permanent makeup artist who possesses all the requisite training. In recent years, popular procedures like microblading have taken the cosmetic tattooing field by storm, with celebrities and beauty bloggers alike undergoing the treatment to create fuller, more luscious eyebrows. However, there are many other parts of the face and body that can benefit from permanent makeup. Lip procedures — the tattooing of the lip line with a lip liner tattoo or the shading of the fleshy part of the lips for permanent lipstick — are as popular as ever. 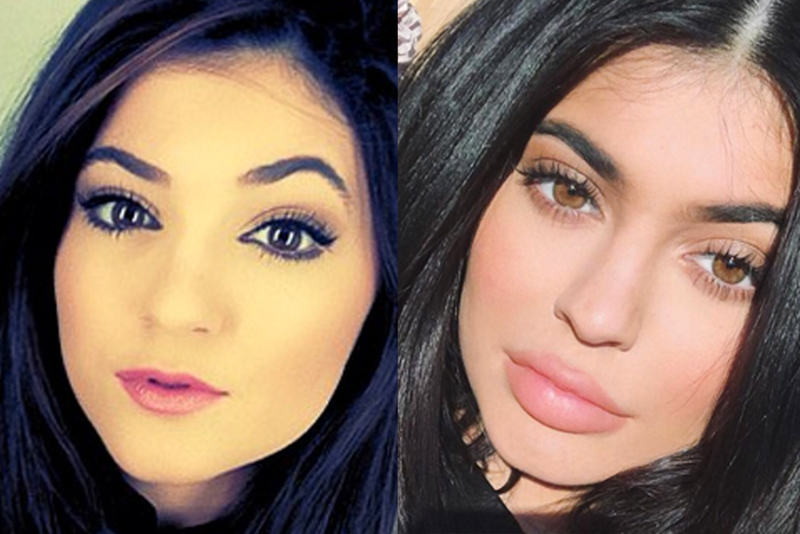 Why not create the appearance of fuller, plumper lips with permanent lip liner procedures? Cosmetic lip liner is recommended for people with uneven lips or those seeking bolder, more natural colors for them. It’s also a good choice for those who want to give their lips more definition or to minimize the appearance of fine lines and wrinkles. You can also opt to have your lips filled in with permanent lip color, either with or without coordinating lip liner. A well-trained professional will be able to offer a wide range of different shades so you’ll have the perfect natural looking makeup lip liner and lip tint for years to come. It is important to note that just because you’ve chosen to have one of your favorite lipstick colors permanently tattooed onto your lips doesn’t mean you can’t still use lip gloss, pencils or blush to adjust the tone of your lips from day to day. In fact, many people opt for a natural lip color so they can still wear various shades as desired. In fact, those with tattooed lips often report that lip products apply better and stay on for longer than they did prior to having their lips tattooed. So if you’re worried you could be stuck with the same color lips for the rest of your life, fear not. You’ll still have the same opportunities for cosmetic creativity as you did before. Permanent makeup comes highly recommended for those who can’t wear traditional cosmetics due to skin sensitivities and allergies, or who want to look their best while doing things like swimming, biking or engaging in other sports. According to the Society of Permanent Cosmetic Professionals (SPCP), many people undergo cosmetic tattooing when they suffer conditions (arthritis, multiple sclerosis, Parkinson’s, etc.) that affect dexterity and limit their ability to properly apply their makeup. Nevertheless, these procedures are not for everyone. If you’re afflicted with regular cold sores or fever blisters, your permanent tattoo artist will likely request that you first see your physician before the process begins. An antiviral prescription should be obtained and taken prior to your tattooing day and beyond as prescribed by your doctor. This will help to prevent a herpes outbreak or, if one does occurs, to lessen its severity. And one more thing: those who seek permanent makeup procedures must meet minimum age requirements. Although that age is 18 years old in all 50 states, many jurisdictions allow minors to get tattoos so long as they have the permission of a parent or guardian. There is a wide range of cosmetic tattooing methods, technologies and devices available, and not all require the use of a pre-procedure anesthetic. If an anesthetic is required, the technician will need to work under the direction of a physician. Typically, they will use an over-the-counter product to numb the area. From there, the process is similar to that of a routine body tattoo. Practitioners employ sterile, one-time use needles and applicators in order to reduce the risk of infection. Depending on the extent of the desired result, the procedure can take anywhere from one to several hours. In some cases, multiple sessions are required to achieve the best possible outcome. Micropigmentation is definitely trending. Go to Instagram and look up #liptattoo, #permanentlips and #permanentmakeup to see thousands of permanent full lip color and lip liner before and after pictures. Aftercare is relatively simple, and your technician will walk you through the process to ensure that the tattooed area heals properly. You’ll be supplied with all the correct products for proper healing, and oftentimes a follow-up appointment four to eight weeks afterward will be arranged to monitor your progress. Should you see the need for corrections, you’ll want your tattoo to fully heal before going back for touch-ups. Overall, the process is very safe. Some people experience swelling, peeling or a temporary change in the shape of their lips, so you might need to resist the urge to peel or touch the lips while they’re healing. It’s essential that you keep your lips moisturized throughout the initial healing process, especially the first four days, to help the ink better absorb into the lips and to encourage it to settle into a natural tone. You may also be encouraged to cut your food into smaller pieces or, more dramatically, only drink liquids for a couple of days in order to avoid stretching your lips during the healing process. While many people experience immediate results, you may not see your full, permanent lip color realized for about a month following your session. Although these procedures are just like regular tattooing, they’re often referred to as “semi-permanent” because the ink often fades or changes color over time. However, the SPCP considers makeup tattooing as permanent because, when performed with reputable pigments or ink, the clear intention is to implant the color permanently. Additionally, the SPCP notes that even the most advanced laser techniques risk not remove tattooed pigments entirely, so the color is not only permanent, but non-removable. All to say that if you’re considering getting tattooed, you have to accept that it will be with you for life. However, as with any tattoo, cosmetic tattooing does fade over time and may require touch-ups every few years. Your permanent makeup artist will help you develop a beauty regimen to maintain the color and vibrancy of your lip lining or full lip color tattoos for years to come. Following essential lip tips, such as keeping the tattooed area well-moisturized and clean, will ensure your cosmetic tattoos last as long as possible. Permanent lipstick and lip liner costs vary depending on where you live and how much tattooing you have done. In general, though, it’s one of the more affordable cosmetic procedures on the market. In total, permanent lip tattooing can cost anywhere from $200 to $800, but some professionals charge more for single treatments to cover touch-ups and special techniques. As one example, New York City-based permanent makeup artist Amy Kernahan charges roughly $1,000 for full lip color, but offers a significant discount if you allow one of her associates to perform the procedure instead.